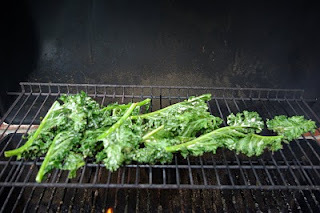 Tonight my husband and I took advantage of the beautiful weather we've been having lately in Michigan and ate dinner on the patio. We gave up trying to eat outside a while ago because the mosquitoes always eat me alive. Tonight, however, the weather was so mild which left most of the mosquitoes at bay. For dinner tonight I made an old favorite, a new favorite, and a new dish that's likely to become a favorite. The new favorite I made was the skewered potatoes with a smoked paprika rub that I made a couple days ago. 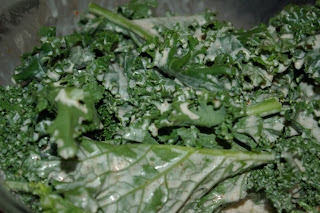 The old favorite was grilled kale marinated in coconut milk and lemon juice. If you're a carnivore looking to cut down on your meat consumption, I highly recommend this dish. I first ate this dish last summer at Vij's in Vancouver and upon returning home, I immediately purchased the cookbook so I could make some of the delicious dishes at home. But as I was saying, if you're a meat lover, this is a great veggie dish for you to try because it tastes like meat! You really could make a main dish out of this it's so hearty. To make grilled kale you combine the juice of one lemon with a can of coconut milk, 1 tablespoon salt, and 1 tsp each of paprika and cayenne pepper. Let marinate 1-4 hours. 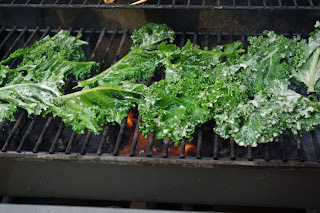 Then grill on medium until wilted and slightly charred on edges. 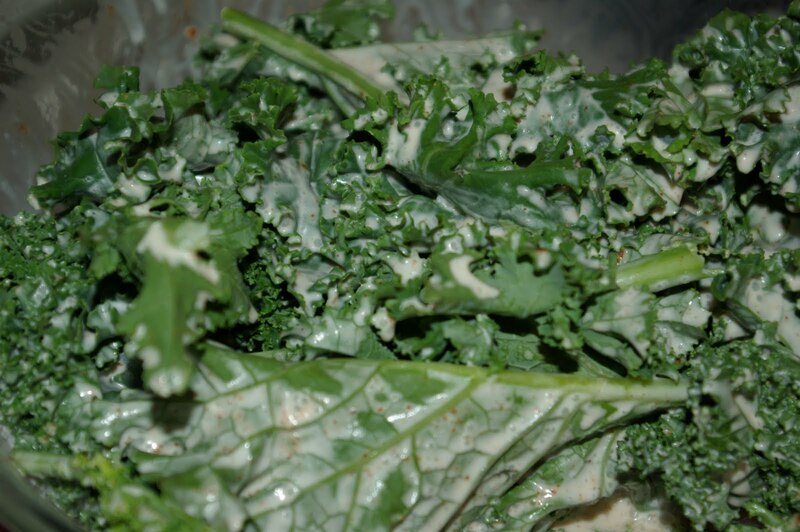 I'm telling you, it's a better meat fix than a soy burger. The new dish likely to become a favorite comes from Guy Fieri. 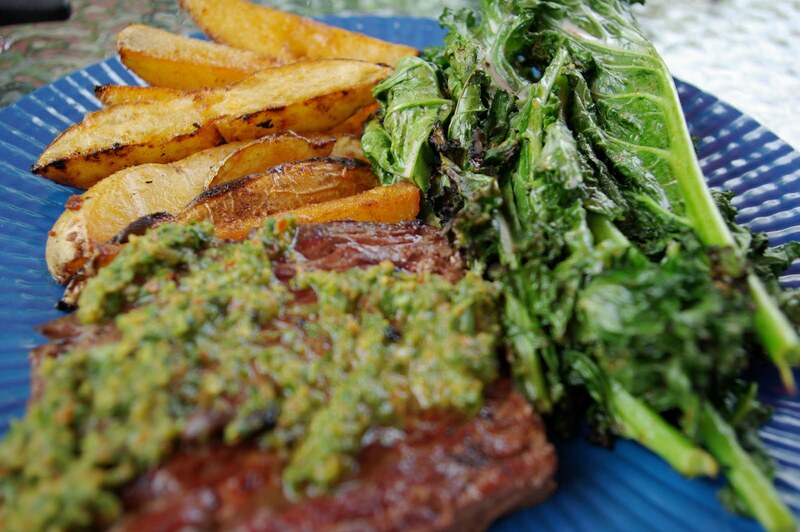 It's Gaucho Steak with a 4-Herb Chimichurri. 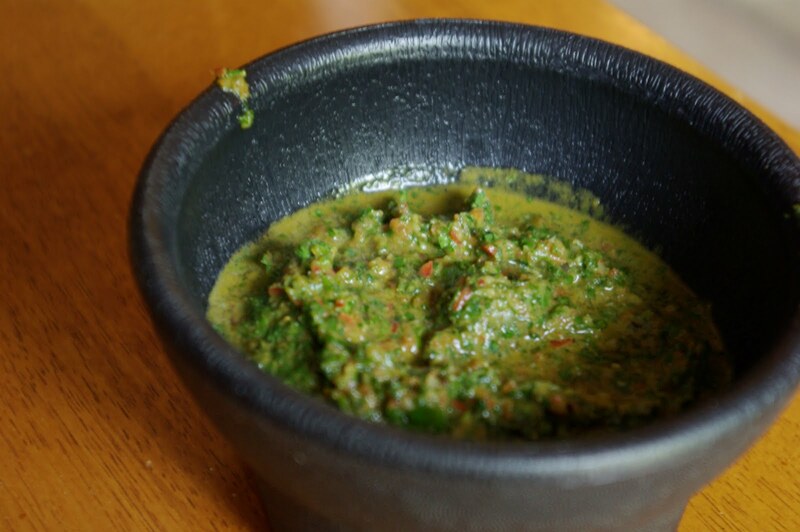 Chimichurri is one of those condiments that I believe is under-utilized in North America given its commonness in South America. I've heard it to be likened to the Argentinian version of ketchup because it's used so much on food in the land of tango. If , however, we're using the frequency of people slathering it on food as cause for comparison, I'd have to say Chimichurri in Argentina is like ranch dressing to my husband.